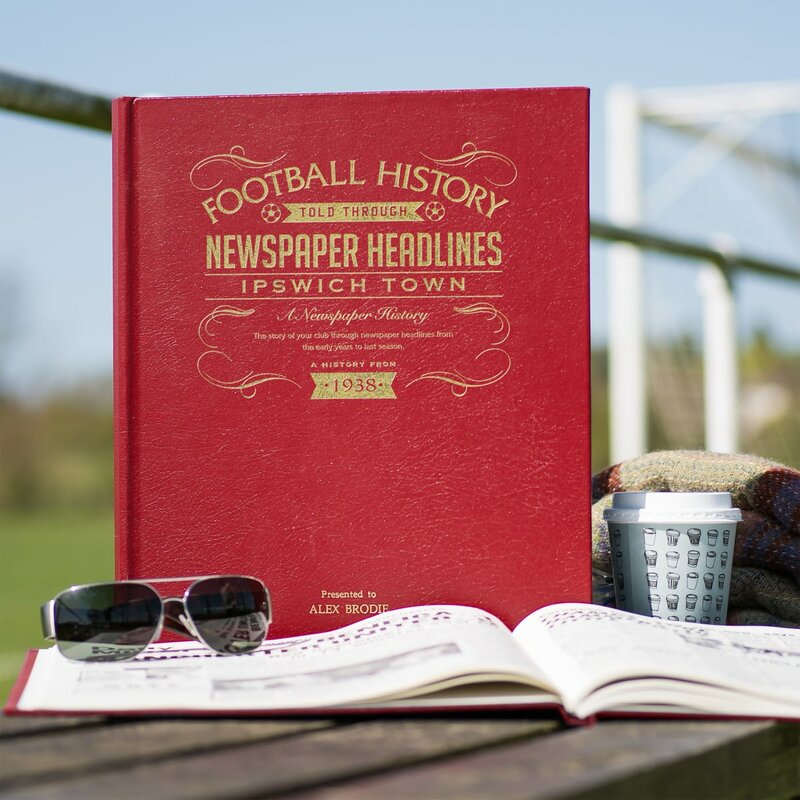 Starting in 1938 with the club's election to the league, this book charts a glorious history of great league, cup and European games and names through the decades. 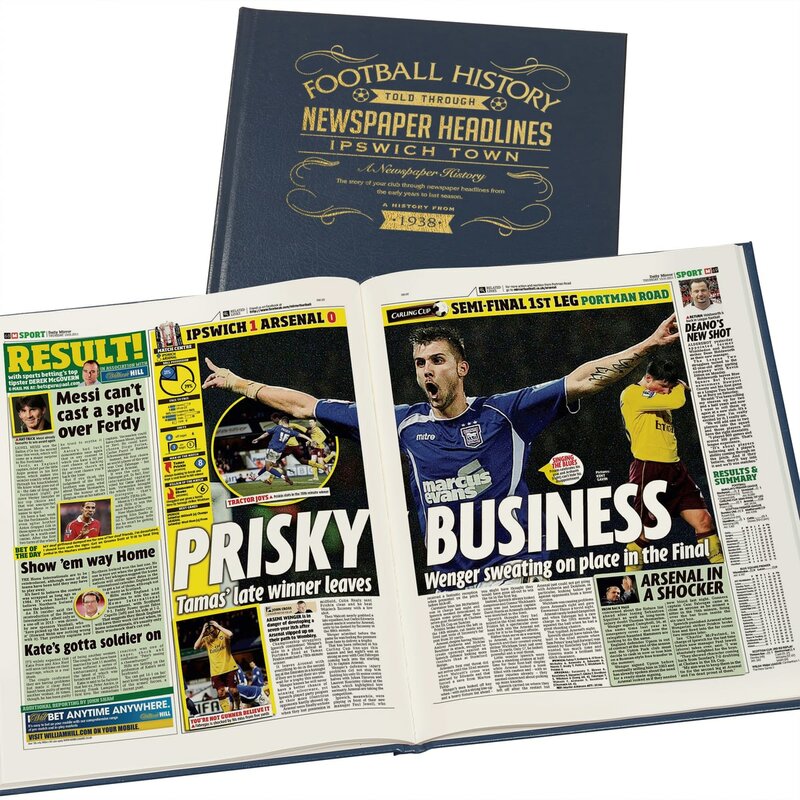 Top stories include a 14-1 aggregate win in European games, manager Alf Ramsey leaves to manage the national team and is replaced by Bobby Robson and The FA Cup win over Arsenal. The EUFA Cup win, Alan Brazil scores all in a 5-2 win, and the play-offs. 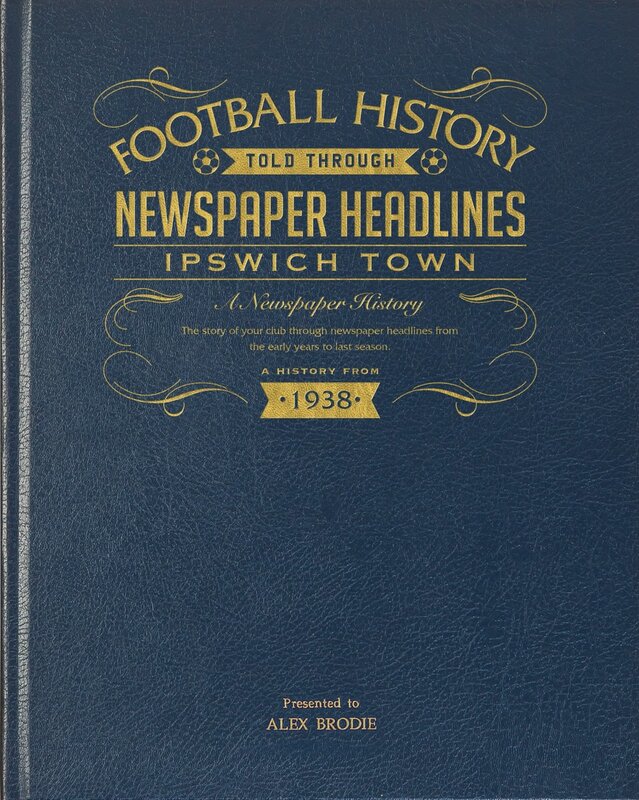 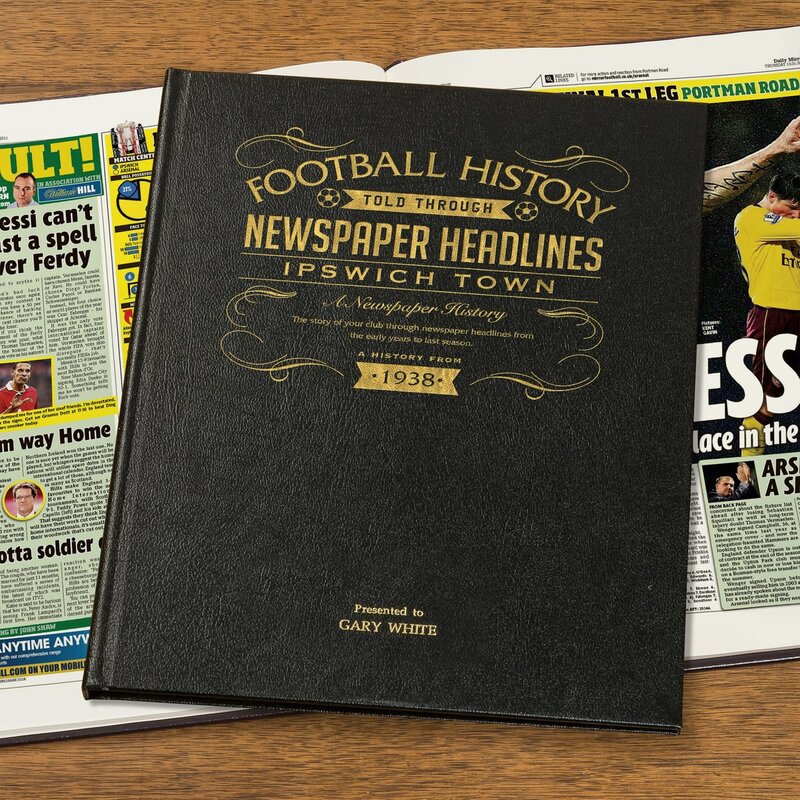 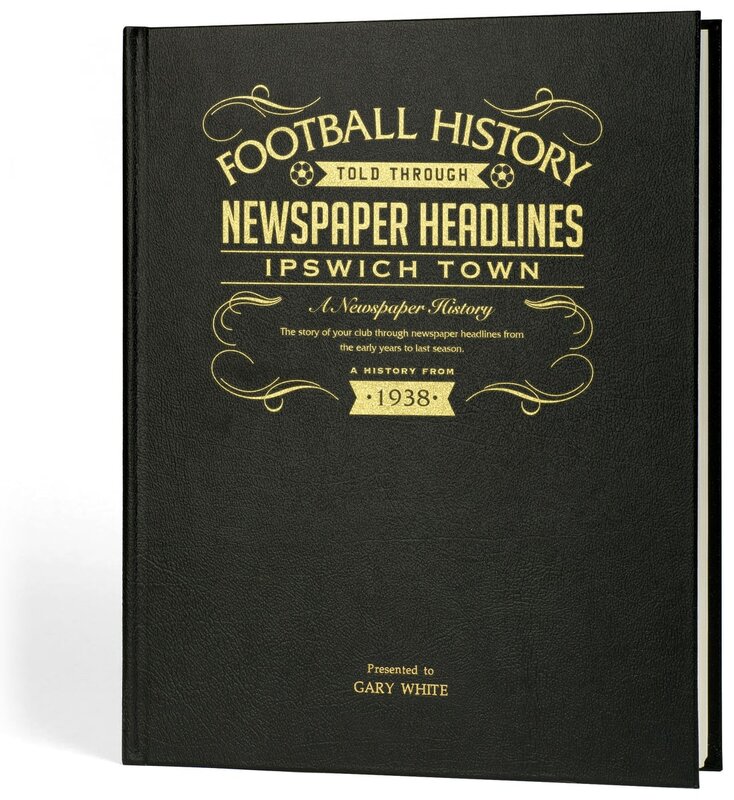 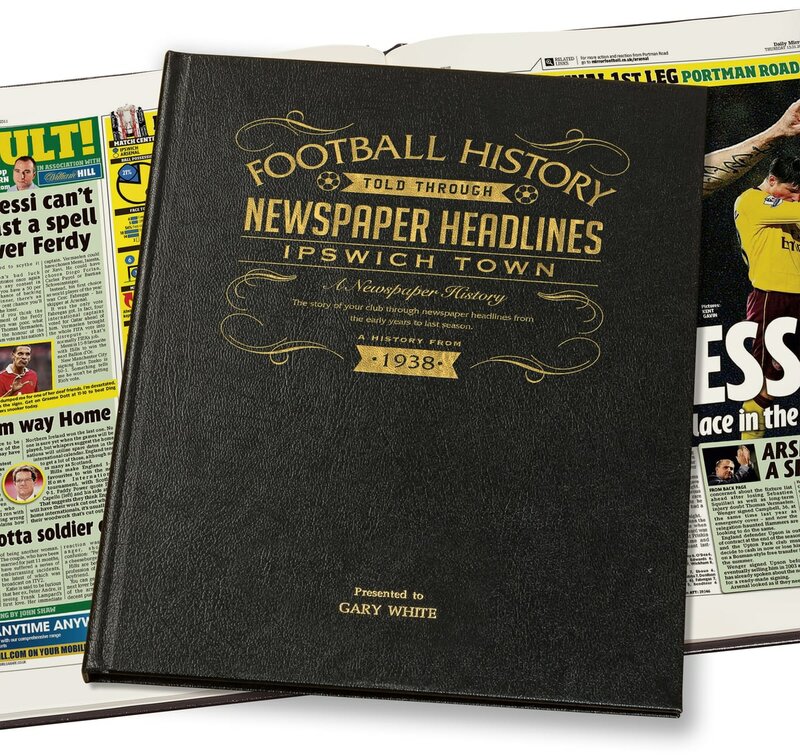 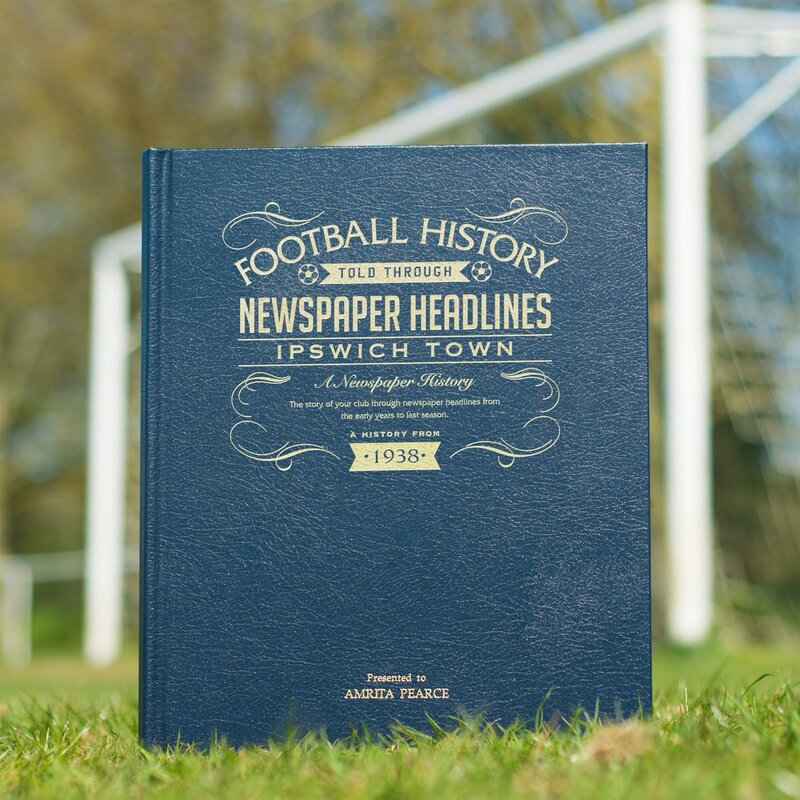 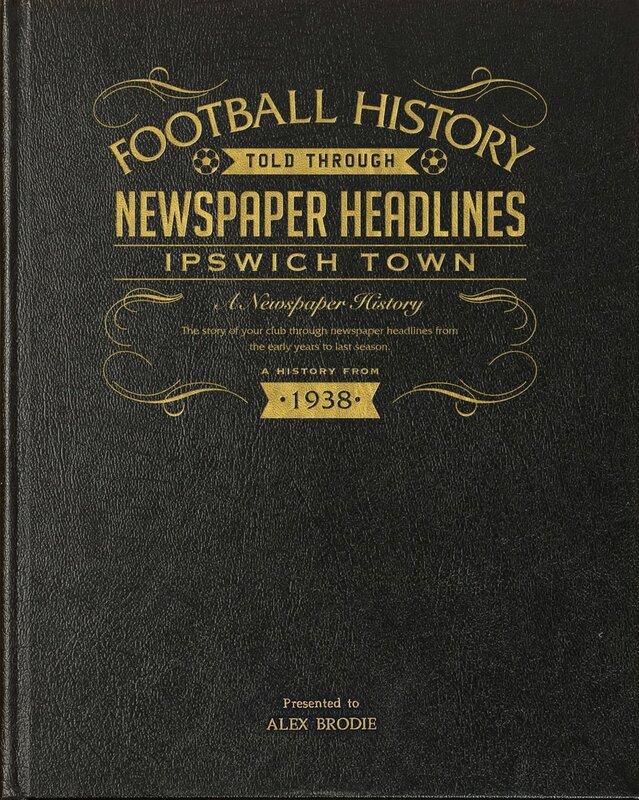 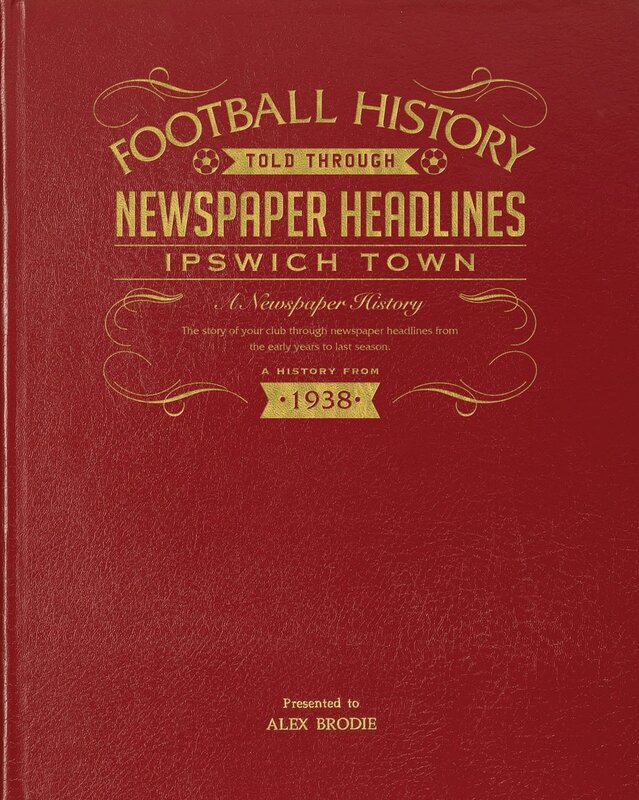 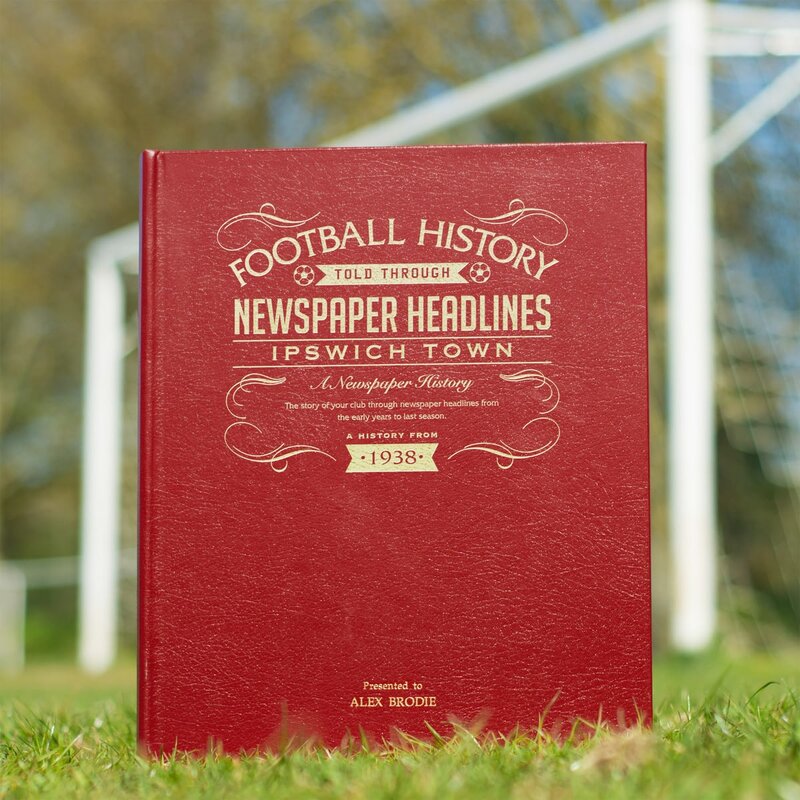 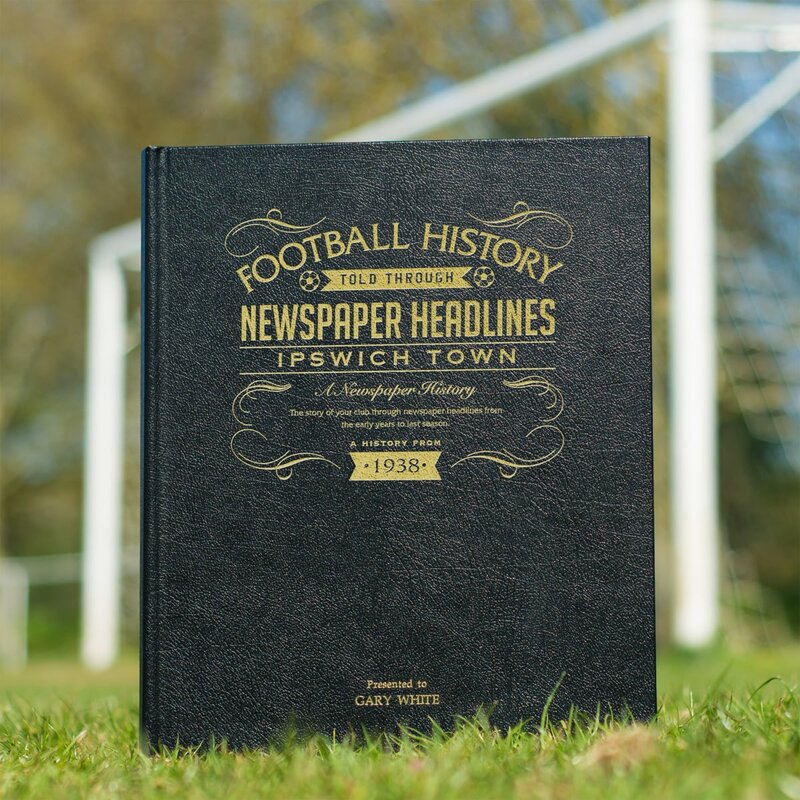 This is a unique and wonderful gift and a must have for all Ipswich fans. 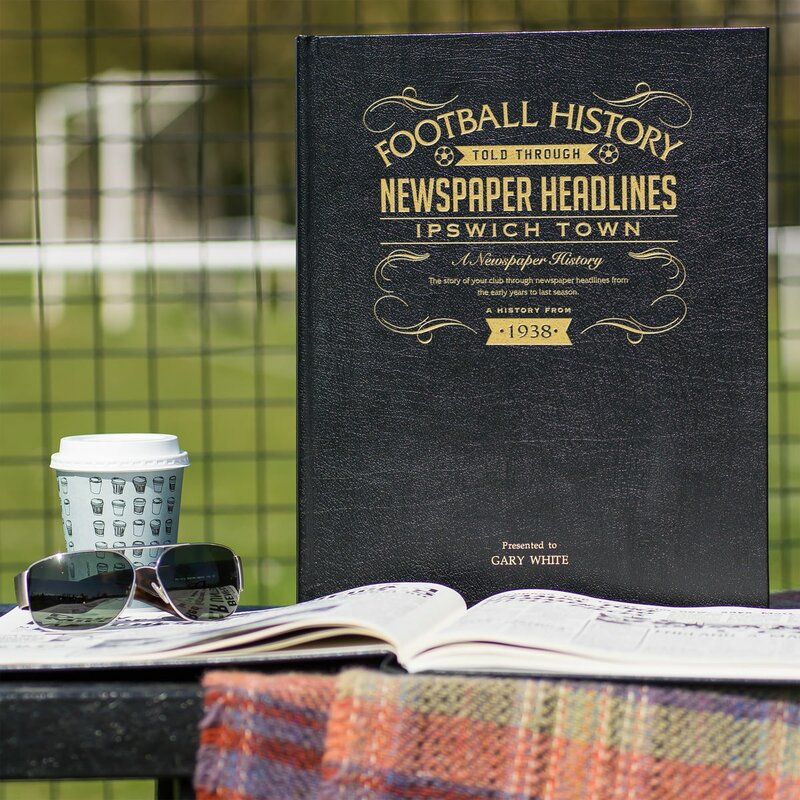 This official, fully licensed Ipswich Town FC Personalised Patterned Front Car Mats come as a pair and are a great contemporary accessory for your car. 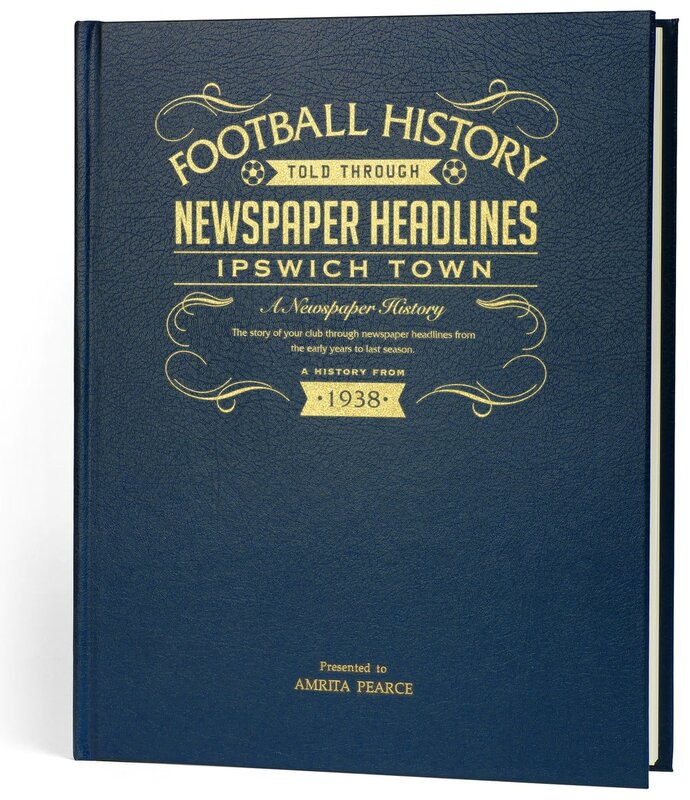 This is a fabulous present for any Ipswich Town FC fan and is approved and fully licensed by the Club. 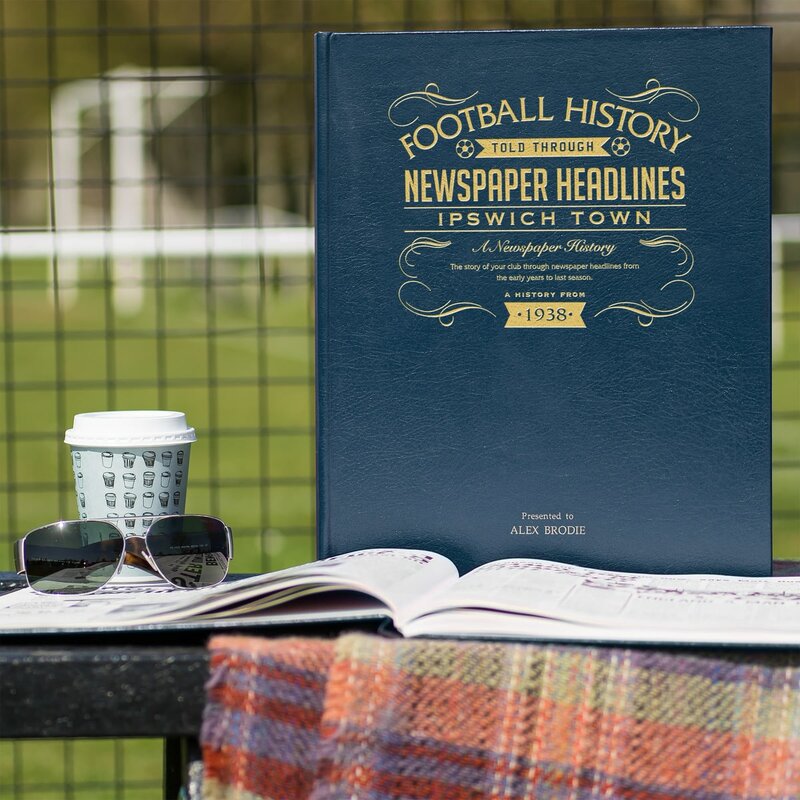 This truly stunning engraved hipflask is a fabulous present for any Ipswich Town FC fan. 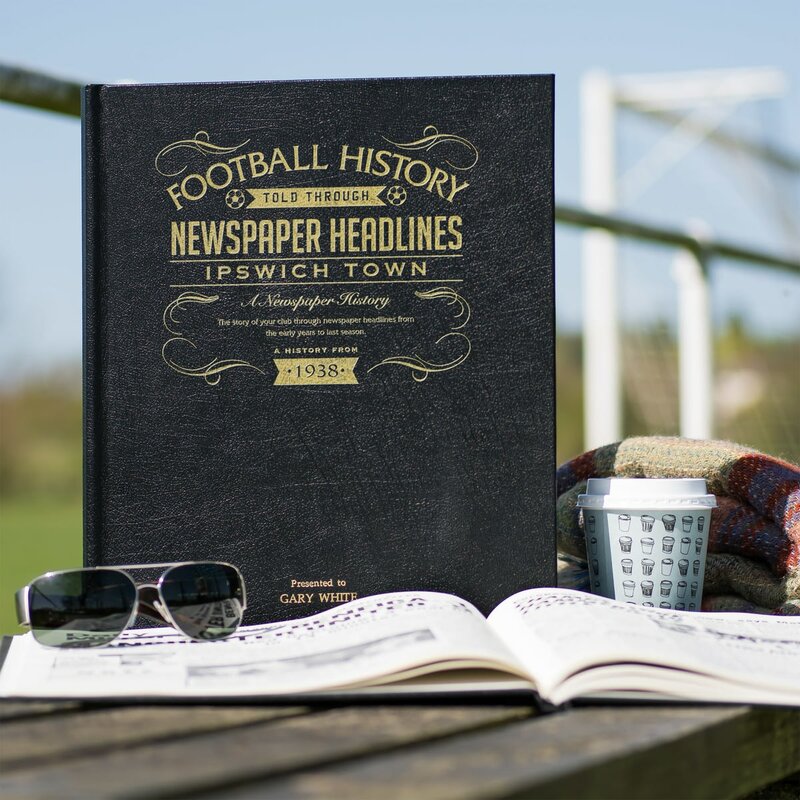 One of our best-selling Ipswich Town FC gifts, this 8oz hipflask is a fabulous present for any Ipswich Town FC football fan. Our personalised 100% Ipswich Town FC mug is a great present for any Ipswich Town FC fan!